Close the gaps between your teeth! The tooth is cleaned using pumice, a sandy material to remove surface deposits. The surface around the tooth defect is then roughened with a mild acid application to help hold the bonding material. A putty like plastic material is color matched to the natural tooth and placed on the roughened tooth surface and allowed to cure with a special bonding light. The restoration is then contoured, finished and polished to yield an almost undetectable and natural looking restoration. Veneers, crowns and orthodontic treatment options are generally more expensive with much longer treatment times although the results are usually more permanent. 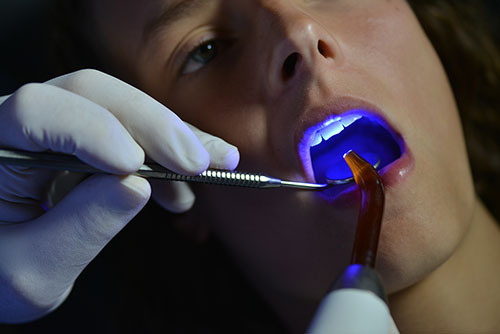 Contact Dental Care of Riverside for a top-quality tooth bonding dentist in Riverside, CA.